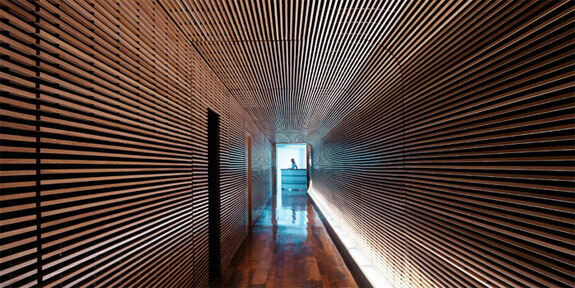 Yes, there are high design Miami hotels that offer high value too. We’ve scoured the options and found four especially worthy. Looking for optimal funkiness? The Pelican Hotel is the choice. A beautiful beachfront location? The Townhouse. A pool and spa resort? The Standard. 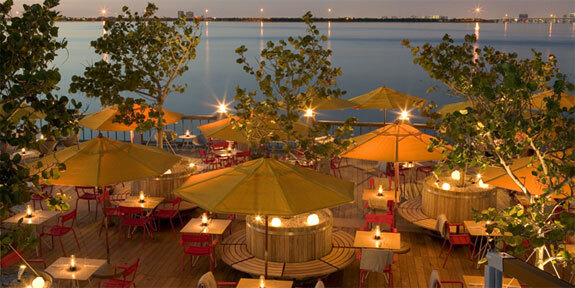 And if you want to be close to the South Beach scene while feeling far away there’s a Sanctuary for you. Read on for the full scoop . . . 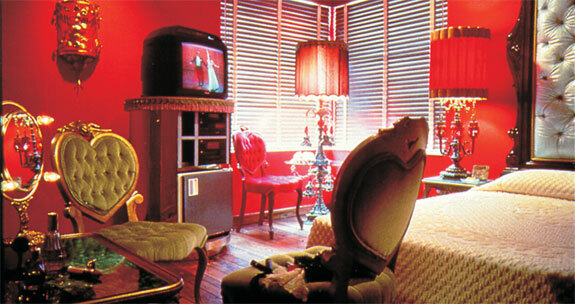 In the Pelican Hotel‘s most popular room, number 215, the decor is modeled after a whorehouse. If you are still reading then you might be the sort who would take to staying at this self-proclaimed “toy hotel” where each of the 30 individually designed rooms are quirky and kitsch-filled. 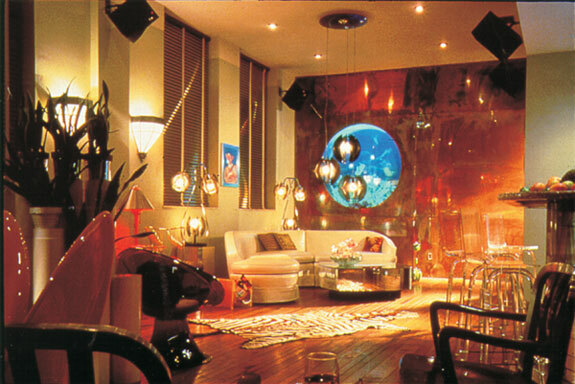 There’s the zebra suite (#203), the 50s theme room (#213), the “A Fortune In Aluminum” room (#304) and the “You Tarzan, Me Vain” (#314). 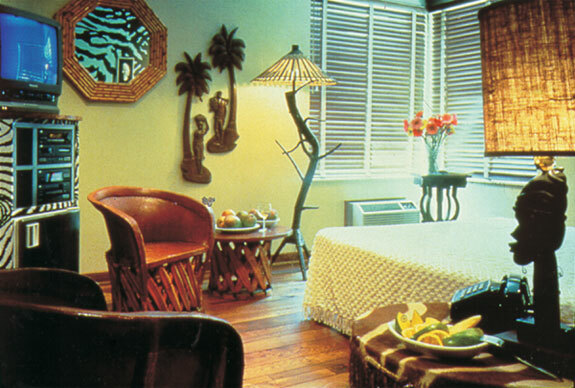 All of the rooms are furnished with finds from flea markets around Florida. With the Pelican’s rooms getting all the attention it is easy to overlook the hotel’s excellent location in the heart of South Beach, across the street from a perfect stretch of sand. The attached restaurant is outstanding, too. Sadly, there’s no pool, spa or gym. 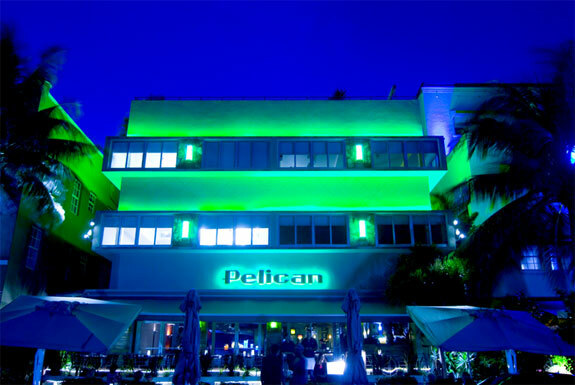 But if you are looking for a funky property that’s the antithesis of a big chain hotel, there’s no place in Miami quite like The Pelican. Rates from around $140~$180. You don’t need a well honed artistic eye to discern what the color pallet is at Townhouse. Everything here is minimalist white with bright spots of red. It’s all done with retro leanings; the rooms are accented with vintage telephones, flowered lampshades and 70s furniture. Check out the room photos below—either you’ll like the look (and we do!) or you won’t. 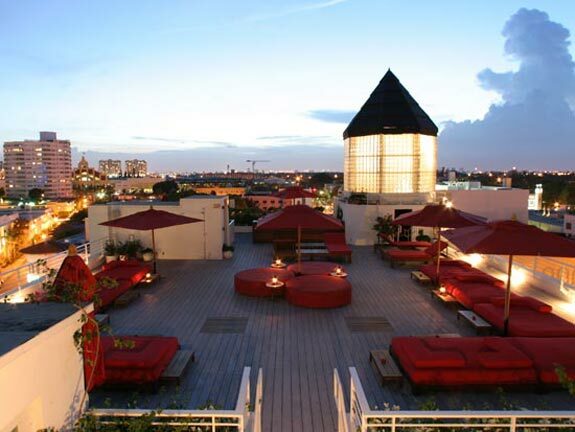 Almost everyone, both locals and hotel guests, tends to like the Townhouse’s rooftop lounge. Between Sunday and Thursday the rooftop is reserved for Townhouse patrons. 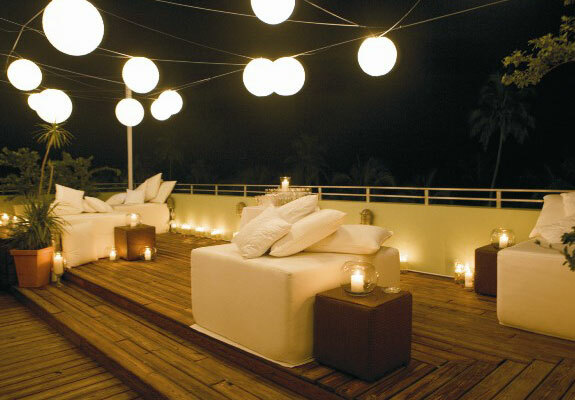 During this time the lounge here is a wonderfully chill place to kick back on one of the king-sized waterbeds while nursing a margarita, catching a sunset or chatting with fellow guests. The vibe changes dramatically on Friday and Saturday evenings when the lounge is opened to the public and the Townhouse’s rooftop is abuzz with 20- and 30-something singles. 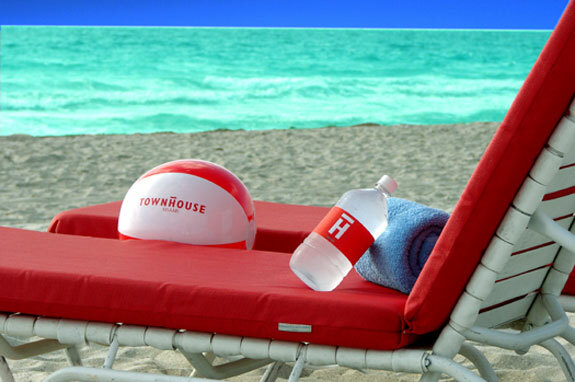 The Townhouse does not have a pool but does have it’s own beach area a few minutes walk from the lobby. If you are in a hurry, bringing a beer cooler or are feeling especially lazy the hotel will get you a complementary ride to their beach on an electric cart. Room rates vary but tend to be in the $105~240 range. 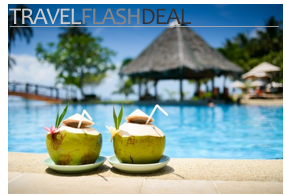 Book through Spot Cool Stuff and our Mr & Mrs. Smith partner and you’ll get a voucher for a free drink and a complimentary room upgrade (subject to availability). 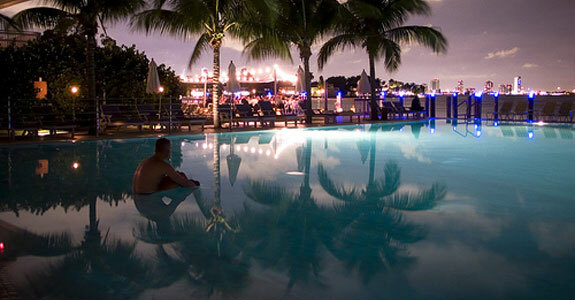 You don’t need an infinite bank account to stay at a cool and quirky Miami hotel with an infinity pool. 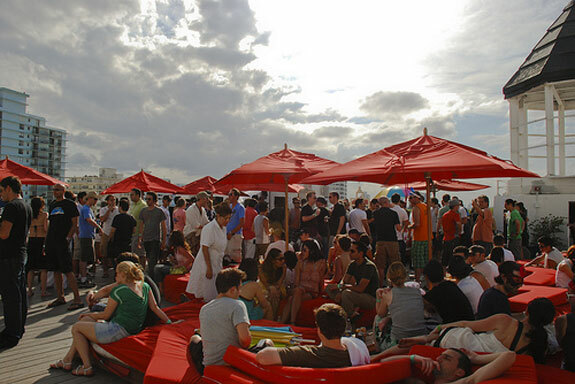 At The Standard, on an island off of Miami Beach, you can lounge in shallow pool waters and gaze out upon gorgeous views of Biscayne Bay. 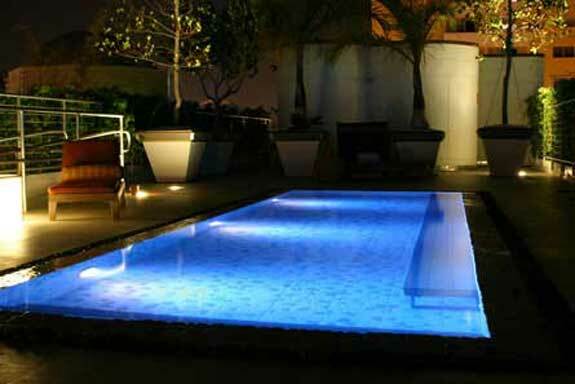 Or dive in, feel the pool’s high-pressure jets and hear the music pumped in through underwater speakers. 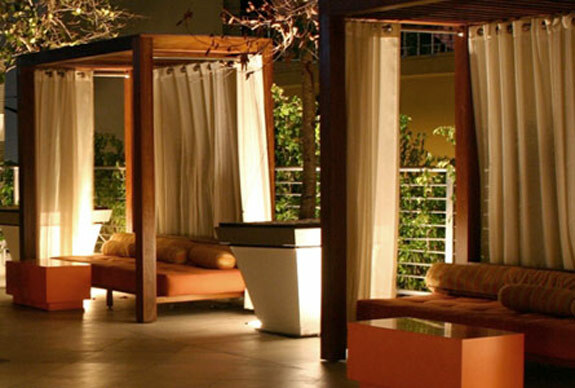 Nearby the pool is the Standard’s spa staffed by therapists expert at massages, facials and acupuncture treatments. The spa also includes a Turkish bath, a cedar steam room, yoga lawns, Roman waterfall hot tub and, our favorite, the Mud Lounge where you can cover yourself in three different kids of therapeutic mud. (Because, as everyone knows, one kind of therapeutic mud just isn’t enough). Book with a Mr. & Mrs. Smith Member Card and you’ll get a complimentary pass to the Mud Lounge. As for the rooms, they are categorized into groups that each seem to have a Freudian-inspired name. The basic “Missionary” rooms are on the small side for our tastes (230 to 300 sq ft) but, like all the rooms at the Standard, they include a comfortable bed, wireless internet and flatscreen TV with DVD player. 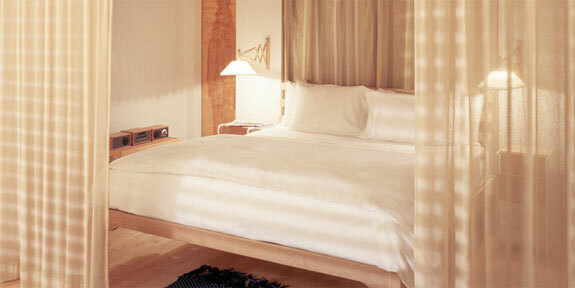 The “Full Spread” rooms are loft-inspired suites with bay views, large windows and private terraces. We are partial to the “Large Wet” rooms that feature a private outdoor patio with a soaking tub and ottoman chair. Rates generally run from $165 to $300. The Standard is roughly a 10-minute, $10, taxi ride from the heart of South Beach. OK, The Sanctuary is our least favorite hotel of the four on this list. There’s not as much attention to detail here as there is at Spot Cool Stuff’s other high design, high value, Miami hotel selections. The Sanctuary is a little old and rundown feeling, and so is the service. There’s also no wireless internet. To our eye, The Sanctuary is not the four-star property it bills itself as. So why would we even make mention of the Sanctuary South Beach? Because the rooms here are larger than their competitor’s and better appointed with 42” LCD TVs, rain showerheads and kitchenettes. The Sanctuary has another advantage too: the location. 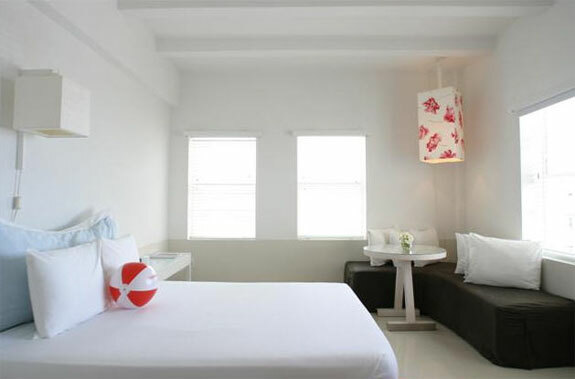 Stay here and you’ll be tucked away into a quiet corner of South Beach while also being a mere three minute walk from the main Collins Ave. thoroughfare. If none of the above choice appeal to you, seek your Miami Sanctuary here.